Going into the 2019 season, Oregon Duck fans have every reason to be excited. With a great recruiting class on the way and the signing of an experienced and successful defensive coordinator, the Ducks have certainly put themselves in a position to compete. In addition to this fiery new collection is an abundance of veteran players on offense. A huge part of this, to nobody’s surprise, is former Penn State wide receiver and graduate transfer Juwan Johnson. After graduating early as a junior with a degree in telecommunications, Johnson elected to play his final year of eligibility In Eugene. Oregon fans should be very excited by his ability to run deep routes and stretch the field. In his three seasons at Penn State, Johnson collected 81 receptions for 1,123 yards and two touchdowns. He became the 32nd player in program history to tally over 1,000 career yards. Johnson’s productivity is needed. The 2018 season gave the Ducks clarity and served as a wake up call on the offensive side of the ball. Their 7-6 win over Michigan State in the Redbox Bowl is a perfect example. Although the Ducks made it out of Levi’s Stadium with a win, they hardly did enough. The offense struggled, and it showed, gaining only 203 yards and converting only 2 of 14 third-down situations. By the end of the 2018 season, the Ducks tallied 52 dropped passes, which cost them a total of 832 yards from scrimmage. However, as much as the Ducks’ offense sputtered in 2018, the future is extremely bright, and Johnson may just be the final piece of the puzzle. Johnson’s sophomore season represented a great year of growth for him as a player, as he tallied 54 catches for a total of 701 yards. He was ranked seventh in the Big Ten Conference in receptions and ninth in yards at the end of the 2017 season. Will he be able to replicate this success in 2019? His ability to make key plays in combination with Justin Herbert’s incredible arm talent at quarterback represents a unique opportunity for the Duck offense. 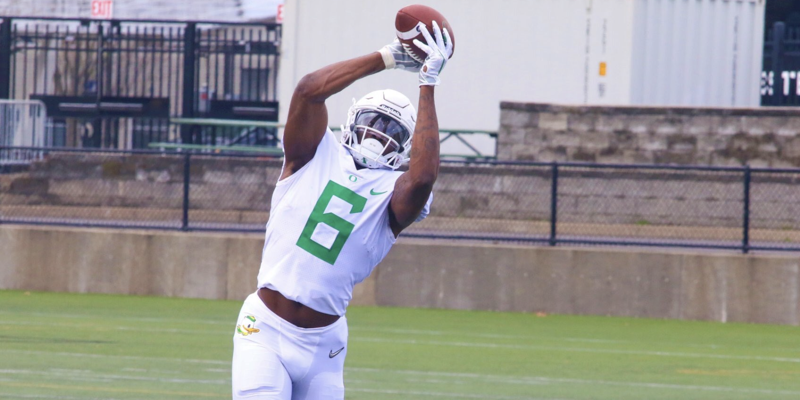 Could Johnson be exactly the flare Oregon’s offense, and specifically its passing game, needs? 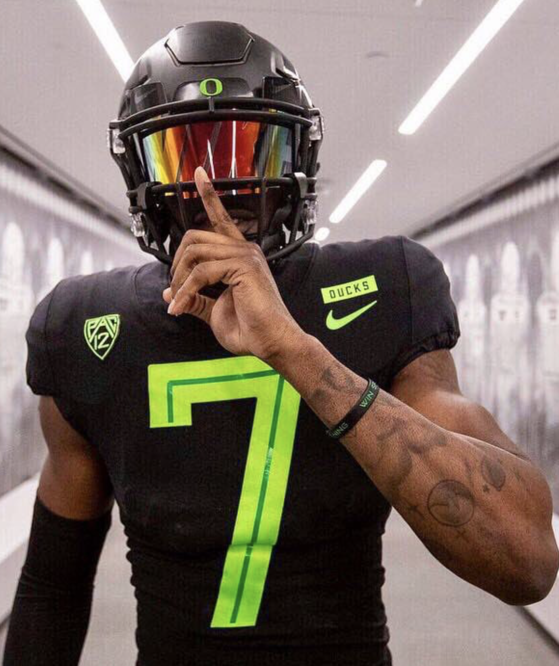 Head coach Mario Cristobal seems to think so, calling Johnson “a big-time addition” to the Ducks program, and going on to explain that he “fits our DNA in a lot of ways” in an interview with GoDucks.com. Let’s hope Coach Cristobal is right come show time this fall.